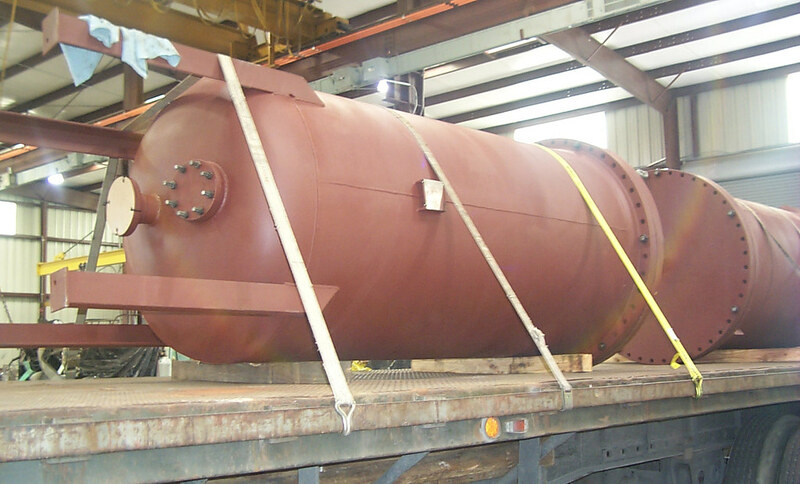 48" Diameter x 96" S/S Vertical Carbon Steel Filter Vessels | Piping Technology & Products, Inc.
Sweco Fab, the ASME fabrication shop of Piping Technology & Products, Inc., specially designed and manufactured three steel, rubber-lined vessels for a MTBE manufacturer located in Deer Park, TX. 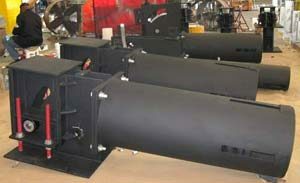 The carbon steel filter vessels were designed with rubber linings in order to help prevent or delay corrosion within. 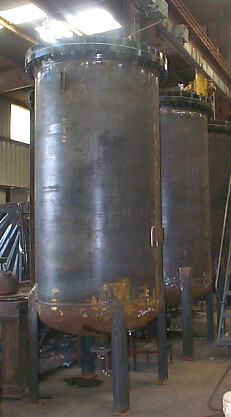 The vessels are 48″ diameter x 96″ s/s vertical and built to ASME. 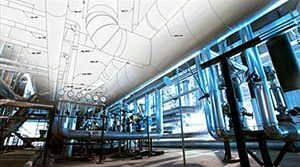 All vessels underwent hydrostatic testing in order to detect leaks (see Figure 2). Need a vessel for an upcoming project? Get pricing today!